In the previous Freaks and Geeks articles, we examined the origin of the geek concept in culture through its etymology and associated millieu. Next, we considered the term through consumptive patterns and the communities that form around those patterns. 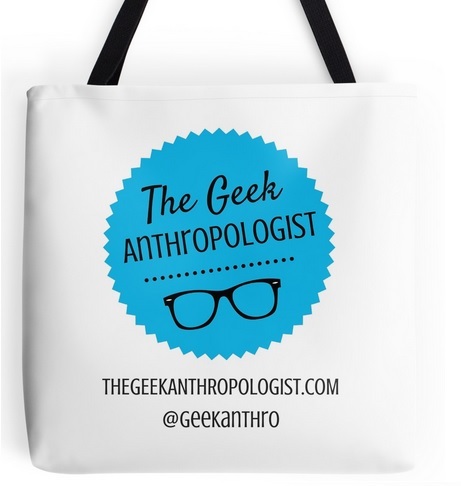 Most recently, we considered the place of geeks through the study of pop culture – another term for consumption (see Azuma (2009) for a discussion on this) – and its place in Anthropology as a whole. After watching the television show Video Game High School, I’d like to take traditional gender roles and consider them through a few logical leaps through both gamer and geek culture (see Cassell 2002 for clarification). Specifically, I’m interested in the old adage that concepts like gender are erased by the losses accrued through computationally-based interaction (Blank, 2013). While we traditionally view concepts like these as antiquated, there is something left there to discuss. Perhaps it isn’t that gender or race are erased insomuch that we gain new tools, ones not couched in history, through which we can challenge these concepts. There is more diversity in this picture than the entirety of game culture. The concept behind this game was that one day, Nerds woke up with the powers of magic whereas Jocks gained a significant degree of physical prowess and general resilience to magic. Despite this, the increased power of the nerd allowed them to come to dominate the world and thus begin a way to eradicate nerds around the world. Here is where Video Game High School comes in. As this was written in the mid-1990s, none of us knew just how prescient this game really was…though, this case it wasn’t magic that set the nerds free, but the creation of the internet. If you haven’t watched Video Game High School, this show was born out of Freddie Wong’s Youtube Channel. The easiest way to describe it is that it is an alternative universe through which video gaming has taken the place of professional sports. Instead of worrying about amassing wealth or power, the world centers on one’s skill in specific kinds of video games. For example, at the beginning of season 3, a well thought of female soldier with a strong record of fighting for women’s rights is competing with Tony Hawk to become the next President of the United States. Think about it. As they begin to declare a winner (of the nuclear launch codes), the actual president, who had been missing for an unspecified amount of time shows up bruised and bloodied. He grabs the launch codes and as he speaks in to the camera to tell America what happened to him, the television channel cuts to a news room in order to feature a kill streak happening during the national high-school FPS tournament. So where do we stand? Well, my definition of Geekdom is that it offers us a means through which to eschew the structure of gender by allowing us alternative means through which to express ourselves. While geekdom stands inside of capitalism as a means through which to establish itself through buying patterns (Azuma, 2009), it is a movement born of modernity. Shows like Video Game High School or even my terrible pen and paper role-playing game allow us to delve more deeply into what masculinity or femininity is really capable of despite their birth as consumer products (note: my game was never going to sell but I had great dreams at the age of 20!). Despite the recent skirmishes along the stereotype of the gamer, we have begun to see all manner of socially aggressive gender stereotypes pop up all over the place. In fact, as these gender stereotypes have progressed, the appearance of trans-geek stereotypes has managed to begin to crack the dichotomy of gender altogether. Azuma, H. (2009). Otaku: Japan’s database animals. U of Minnesota Press. Blank, T. J. (2013). Folklore and the Internet: Vernacular Expression in a Digital World. O’Reilly Media, Inc.
Cassell, J. (2002, January). Genderizing Human-Computer Interaction. In The Human-Computer Interaction Handbook (pp. 401-412). L. Erlbaum Associates Inc.
Tocci, Jason. 2007. “The Well-Dressed Geek: Media Appropriation and Subcultural Style.” MiT5.